Tracking your lead generation campaigns allows you to get more info about the effectiveness of your campaigns. When you know which campaign performs well, you can improve your lead generation tactics and get more qualified leads. 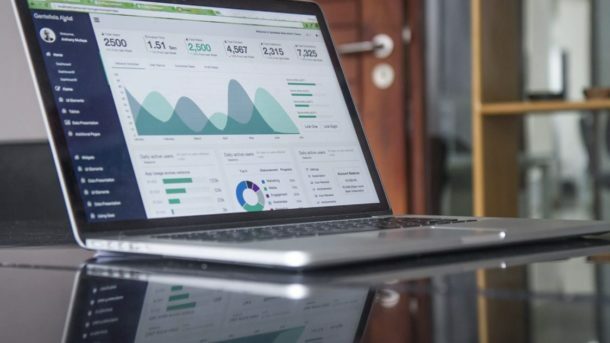 In this post, I will show you five tips you can use to get more accurate data and improve your lead generation. As a marketer, it is important to measure the success of your campaigns. One tool you can use for this is the UTM tags. Clicks on the content on your blog, etc. You can also use it to track the incoming traffic to a web page. Pasting your campaign landing page URL inside the “website URL” box. Type in your “campaign source” e.g. Blogs, Newsletters, Google, Twitter, etc. Type in the “campaign medium” i.e. the content or image you want to use. This can be an email, a banner, etc. Type in your “campaign name”. This can be your product or service name, promo code or slogan. Type in “campaign content”. You can use this feature for A/B testing and content targeted ads. This feature is optional. Once you finished filling in the information above, submit it. Google will generate a campaign URL for you that you can use to track your website visitors. As a marketer, you may want to track the traffic coming from your ads. This will give you the data you need to evaluate if the campaign is profitable or not. 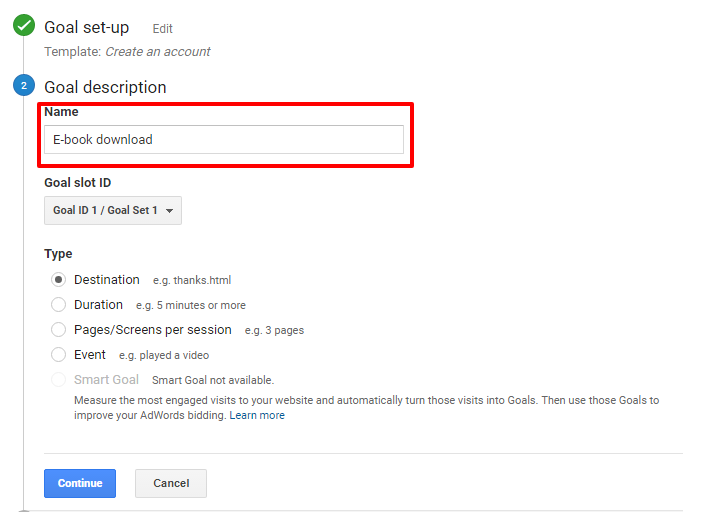 You can do this by creating UTM tags for paid traffic, such as Google AdWords, Facebook ads, YouTube, Bing ad, LinkedIn Ad etc. There are two tools you can use to achieve this task. They are Google analytics and UTM tags. For example, if you created an ad on Facebook and wanted to track incoming traffic i.e. where your visitors are coming from, you will need to add a UTM tag to your destination URL. 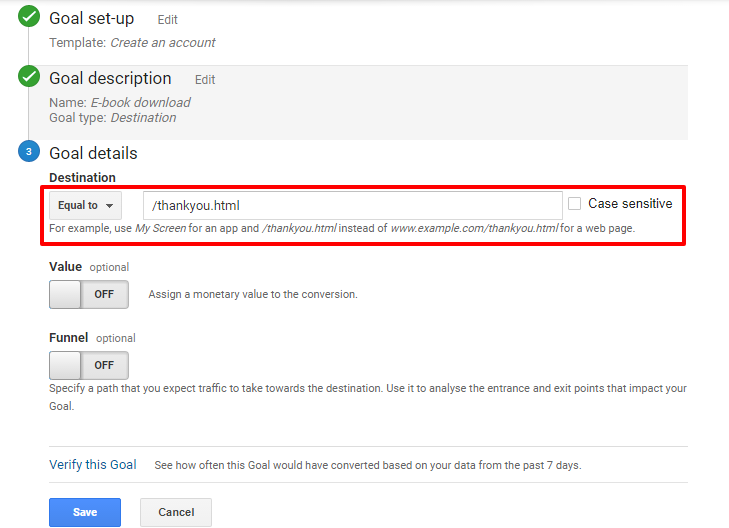 This will enable Google Analytics to collect data for you and give you a report on the people visiting your website. The first thing you will need to do is to create a UTM Tag. Follow the steps highlighted in tip 1 above to create it. When you have finished filling in the information, click submit to generate the UTM tag. Copy the UTM tag and paste it in Facebook as the destination link you want to promote. 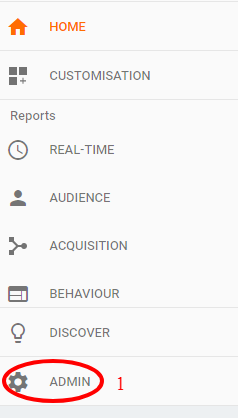 You can view your campaigns in Google Analytics to know how it is performing. To do this, log into your Google Analytics, under your website profile, click on Acquisition – campaigns – All campaigns. 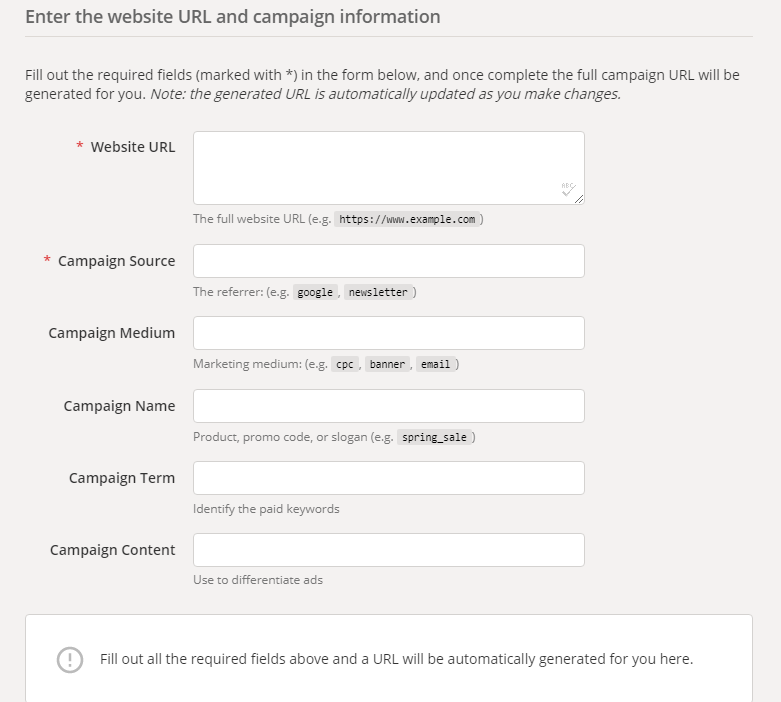 There you will see an overview of your campaign as tagged using the UTM tags. You can click on the campaign name to see the details as tagged using the UTM tags. 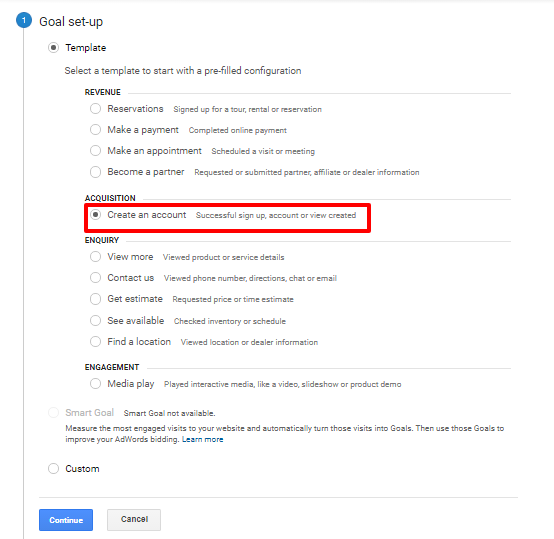 In other words, goals help you to measure how and when users take a specific action you want them to accomplish. The image below shows different kinds of templates you can set for goals. The goal that matches what we want to do is the acquisition goal i.e. a goal to track successful sign-ups. So, click on “create account” under the Acquisition tab. The goal description here will be “e-book download“, click “continue”. The next step is to enter in your website URL, where your visitors will land after completing the action i.e. signing up for the free ebook. Your goal is now active and it will start recording the data as visitors download your free e-book. This data will help you to track all visitors that complete the goal. You can set up more goals. In fact, the more goals you set, the more data you will get to help you improve your lead generation strategies. Facebook pixel is a tool you can use to add a code to your website. It helps you to track your website visitors so you can advertise your product or service to them at a later date. This process is referred to as retargeting. A Facebook pixel also help you to track the behavior of your previous website visitors when they come back to visit your website. This will enable you to know more about the people that are visiting your website. You can use this data to produce products or better content that your audience loves. You can also use the data to target your Facebook ads to the right audience that will convert. The pixel will also help you to track the people who got to a specific page on your website but did not take the required action. A Facebook pixel can help you to generate leads and also track your campaign results. 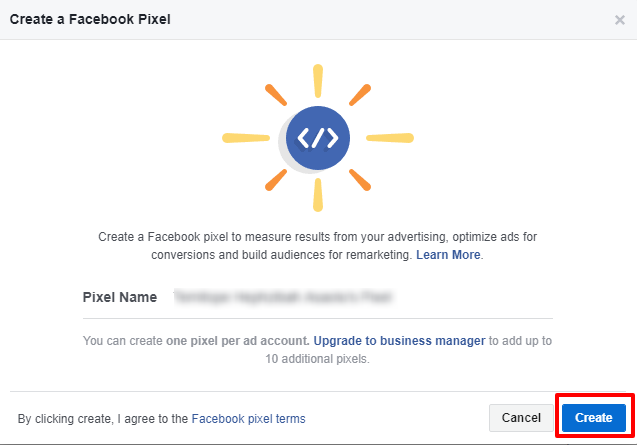 There are two types of Facebook pixels – the custom audience pixel for retargeting website visitors and conversion pixel for tracking website conversions. Click on “create a pixel” and name your pixel as shown below. Click “create” and the code for your pixel will pop up. 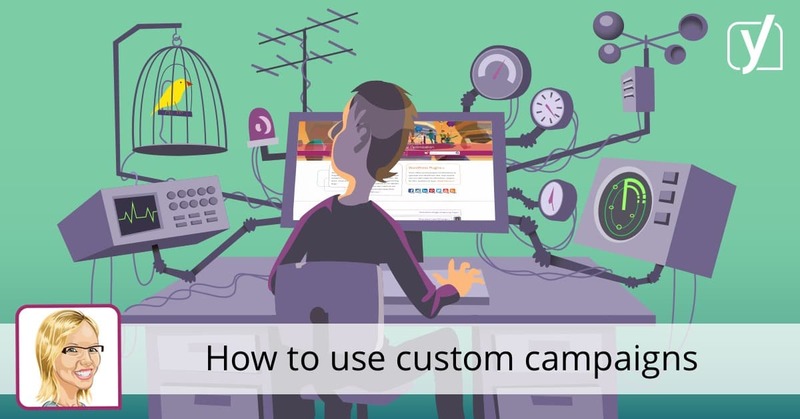 There is a plug-and-play tool you can use to create a custom audience for your campaign. It is called Pixel enhancer. It will help you to create custom audiences that you can target with your ads. A great challenge for most digital marketers is how to track and measure offline conversions resulting from an online marketing campaign. How do you know that a marketing campaign or online ad has led to physical sale/ purchase in the store? This is the essence of tracking offline conversions from an online campaign. It serves as a tangible proof to marketers that their marketing campaigns are performing well online and offline. Recent development and technology advancement has made it possible to track offline conversions from digital campaign particularly from Facebook and Google AdWords. With a proper setup, marketers can track their store visits, offline purchases and phone calls to merchants from a consumer. This will help you to generate more sales and calculate your ROI. Connect your Facebook to your CRM. For example, if a user signs up for your free e-book or resources, you can add him to your customer’s list on your CRM. If the user views your ads, Facebook will match the data and track the conversion. When you do it this way, Facebook will help you to optimize your campaigns. It will be easy to understand your advertising game. You will know how many sales you get from your ads online and it will be easy to know the ROI of other channels. For example, if your ads generated 20 sales running campaigns on Facebook and Adwords. If Facebook data reveals that you got 15 sales from Facebook, you know automatically that the remaining 5 sales are from Google AdWords. You need data to succeed in lead generation. To generate data on your website visitors, you can create UTM tags for referrals and paid traffic, set Google Analytics goals, use the Facebook pixel and offline conversions. The data you collect from these sources will help you to be effective in creating marketing campaigns that will perform well. This will also help you to get more qualified leads. What methods are you using to collect data from your website visitors? Download my Facebook Ads Insider’s Hacks here.